Shopping for a used car in Johnston, but want to make sure you choose something that fits comfortably in your budget? 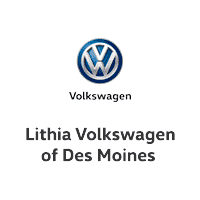 At Lithia Volkswagen of Des Moines, we have a selection of used cars under 10k. Regardless of your preferences, you’ll be able to find something that suits your needs at a price you love – even if you don’t drive home in a Volkswagen. We want to make your car-buying process as stress-free as possible, so contact us at your leisure if you need any information. Browse our online inventory of vehicles under 10k, and plan your visit from the Ubandale area. Want to make your vehicle more cost-effective? Consider trading in your vehicle. FUEL EFFICIENT 33 MPG Hwy/25 MPG City! CARFAX 1-Owner. Edmunds Editors' Most Wanted Small Sedan, CLOTH LOW-BACK FRONT BUCKET SEATS, Edmunds.com explains A wonderful small car that's fun to drive.. 4 Star Driver Front Crash Rating. CLICK NOW! KEY FEATURES INCLUDE . Remote Trunk Release, Child Safety Locks, Front Disc/Rear Drum Brakes, Vehicle Anti-Theft System. OPTION PACKAGES CLOTH LOW-BACK FRONT BUCKET SEATS (STD). VEHICLE REVIEWS Edmunds Editors' Most Wanted Small Sedan 4 Star Driver Front Crash Rating. 4 Star Passenger Front Crash Rating. Great Gas Mileage: 33 MPG Hwy. WHY BUY FROM US Lithia is one of America's largest automotive retailers. We are focused on providing customers with an honest and simpler buying and service experience. We are giving customers straightforward information so that they can make confident decisions. We believe that our local communities are our lifeblood. In addition to the employment opportunities we provide in each of our neighborhoods, we also provide contributions to charitable organizations that serve our families, friends, and customers. Plus tax, title, license and $180 dealer documentary service fee. Price contains all applicable dealer offers and non-limited factory offers. You may qualify for additional offers; see dealer for details. FUEL EFFICIENT 32 MPG Hwy/25 MPG City! Mazda3 s trim. CD Player, Alloy Wheels, Athletic handling and performance, plenty of standard and optional features, well-constructed interior -Edmunds.com. 4 Star Driver Front Crash Rating. CLICK NOW! KEY FEATURES INCLUDE CD Player, Aluminum Wheels Rear Spoiler, Keyless Entry, Remote Trunk Release, Steering Wheel Controls, Child Safety Locks. EXPERTS RAVE The hatchback in particular should appeal to young families or college-aged folks in need of the occasional dorm moving van. -Edmunds.com. 4 Star Driver Front Crash Rating. 4 Star Passenger Front Crash Rating. Great Gas Mileage: 32 MPG Hwy. BUY FROM AN AWARD WINNING DEALER Lithia is one of America's largest automotive retailers. We are focused on providing customers with an honest and simpler buying and service experience. We are giving customers straightforward information so that they can make confident decisions. We believe that our local communities are our lifeblood. In addition to the employment opportunities we provide in each of our neighborhoods, we also provide contributions to charitable organizations that serve our families, friends, and customers. Plus tax, title, license and $180 dealer documentary service fee. Price contains all applicable dealer offers and non-limited factory offers. You may qualify for additional offers; see dealer for details. JUST REPRICED FROM $5,483, FUEL EFFICIENT 35 MPG Hwy/24 MPG City! SE trim. Kelley Blue Book Top 10 New Back-to-School Car, iPod/MP3 Input, CD Player, Alloy Wheels, 2.0L DOHC 16-VALVE I4 DURATEC ENGINE, CLOTH SEAT SURFACES. READ MORE! THIS FORD FOCUS COMES COMPLETELY EQUIPPED CLOTH SEAT SURFACES (STD), 2.0L DOHC 16-VALVE I4 DURATEC ENGINE (STD) DRIVE THIS FORD FOCUS WITH CONFIDENCE 4 Star Driver Front Crash Rating. 5 Star Driver Side Crash Rating. THE BEST FORD FOCUS AT THE RIGHT PRICE World-leading performance at a great value. Was $5,483. KEY FEATURES ON THIS FORD FOCUS INCLUDE iPod/MP3 Input, CD Player, Aluminum Wheels MP3 Player, Keyless Entry, Remote Trunk Release, Child Safety Locks, Bucket Seats. THE FORD FOCUS IS BEST IN CLASS After a very long wait, American buyers finally get a world-class small car from a Detroit label.- Edmunds.com. Kelley Blue Book Top 10 New Back-to-School Car. Great Gas Mileage: 35 MPG Hwy. VISIT US TODAY Lithia is one of America's largest automotive retailers. We are focused on providing customers with an honest and simpler buying and service experience. We are giving customers straightforward information so that they can make confident decisions. We believe that our local communities are our lifeblood. In addition to the employment opportunities we provide in each of our neighborhoods, we also provide contributions to charitable organizations that serve our families, friends, and customers. Plus tax, title, license and $180 dealer documentary service fee. Price contains all applicable dealer offers and non-limited factory offers. You may qualify for additional offers; see dealer for details. 3.5 SL trim. FUEL EFFICIENT 29 MPG Hwy/20 MPG City! Sunroof, Heated Leather Seats, Premium Sound System, Multi-CD Changer, (K92) PROTECTION PKG, Alloy Wheels, A midsize sedan to be desired. -Edmunds.com. SEE MORE! KEY FEATURES INCLUDE Leather Seats, Sunroof, Heated Driver Seat, Premium Sound System, Multi-CD Changer, Aluminum Wheels, Heated Seats, Heated Leather Seats. Keyless Entry, Remote Trunk Release, Child Safety Locks, Steering Wheel Controls, Heated Mirrors. OPTION PACKAGES (K92) PROTECTION PKG. Nissan 3.5 SL with RADIANT SILVER exterior and Charcoal interior features a V6 Cylinder Engine with 250 HP at 5800 RPM*. EXPERTS RAVE Edmunds.com's review says A midsize sedan to be desired.. 5 Star Driver Front Crash Rating. 5 Star Passenger Front Crash Rating. Great Gas Mileage: 29 MPG Hwy. WHO WE ARE Lithia is one of America's largest automotive retailers. We are focused on providing customers with an honest and simpler buying and service experience. We are giving customers straightforward information so that they can make confident decisions. We believe that our local communities are our lifeblood. In addition to the employment opportunities we provide in each of our neighborhoods, we also provide contributions to charitable organizations that serve our families, friends, and customers. Plus tax, title, license and $180 dealer documentary service fee. Price contains all applicable dealer offers and non-limited factory offers. You may qualify for additional offers; see dealer for details. PRICE DROP FROM $8,000, $5,900 below NADA Retail! NAV, Sunroof, Heated Leather Seats, Satellite Radio, iPod/MP3 Input, Premium Sound System, Alloy Wheels, All Wheel Drive, Back-Up Camera, Consumer Guide Recommended Car READ MORE! KEY FEATURES INCLUDE Leather Seats, Navigation, Sunroof, All Wheel Drive, Heated Driver Seat, Back-Up Camera, Premium Sound System, Satellite Radio, iPod/MP3 Input, Bluetooth, Multi-CD Changer, Aluminum Wheels, Keyless Start, Dual Zone A/C, Brake Actuated Limited Slip Differential MP3 Player, Keyless Entry, Remote Trunk Release, Steering Wheel Controls, Child Safety Locks. VEHICLE REVIEWS Consumer Guide Recommended Car. Edmunds.com's review says With its roomy, best-in-class cabin and excellent driving dynamics, this sedan shines as one of the strongest picks in its segment.. A GREAT TIME TO BUY Reduced from $8,000. This A8 is priced $5,900 below NADA Retail. BUY FROM AN AWARD WINNING DEALER Acura of Johnston features a wide selection of new Acura and used Acura cars, trucks and SUVs. We carry all of the latest and most popular Acura models, but Acura of Johnston also has Acura Certified Pre-Owned Vehicles that meet Acura's demanding standards for quality and pass a meticulous certification process. We will explain the features and benefits of each model so you can choose which is perfect for you. If you already have a model in mind feel free to stop by for a test drive! Plus tax, title, license and $180 dealer documentary service fee. See dealer for details. LT trim. CD Player, 4x4, Dual Zone A/C, Onboard Communications System, TRANSMISSION, 4-SPEED AUTOMATIC, ELEC... ENGINE, VORTEC 4200 SFI I6, Alloy Wheels, Tow Hitch. 5 Star Driver Side Crash Rating. AND MORE! KEY FEATURES INCLUDE 4x4, CD Player, Onboard Communications System, Trailer Hitch, Aluminum Wheels, Dual Zone A/C Privacy Glass, Keyless Entry, Child Safety Locks, Heated Mirrors, Bucket Seats. OPTION PACKAGES TRANSMISSION, 4-SPEED AUTOMATIC, ELECTRONICALLY CONTROLLED WITH OVERDRIVE (STD), ENGINE, VORTEC 4200 SFI I6, includes transmission oil cooler (275 HP [205.1 kW] @ 6000 rpm, 275 lb.-ft. [371.2 N-m] @ 3600 rpm) (STD). Chevrolet LT with BLACK exterior and INT TRIM EBONY/EBONY interior features a Straight 6 Cylinder Engine with 275 HP at 6000 RPM*. EXPERTS ARE SAYING Edmunds.com explains Rugged and durable, the TrailBlazer has its roots in Chevy's Blazer line of vehicles, which has long provided transportation to those who take the climb every mountain maxim literally.. 5 Star Driver Side Crash Rating. 4 Star Passenger Front Crash Rating. VISIT US TODAY Acura of Johnston features a wide selection of new Acura and used Acura cars, trucks and SUVs. We carry all of the latest and most popular Acura models, but Acura of Johnston also has Acura Certified Pre-Owned Vehicles that meet Acura's demanding standards for quality and pass a meticulous certification process. We will explain the features and benefits of each model so you can choose which is perfect for you. If you already have a model in mind feel free to stop by for a test drive! Plus tax, title, license and $180 dealer documentary service fee. See dealer for details. FUEL EFFICIENT 33 MPG Hwy/24 MPG City! Mazda3 i Sport trim. CD Player, iPod/MP3 Input, Edmunds.com's review says The 2010 Mazda 3 remains more entertaining and sophisticated than its price tag would suggest.. READ MORE! KEY FEATURES INCLUDE iPod/MP3 Input, CD Player. MP3 Player, Remote Trunk Release, Child Safety Locks, Steering Wheel Controls, Bucket Seats. EXPERTS ARE SAYING more entertaining and sophisticated than its price tag would suggest. If you're shopping for a small, inexpensive sedan or hatchback, it should be at the top of your list -Edmunds.com. 5 Star Driver Front Crash Rating. 5 Star Driver Side Crash Rating. Great Gas Mileage: 33 MPG Hwy. MORE ABOUT US Lithia is one of America's largest automotive retailers. We are focused on providing customers with an honest and simpler buying and service experience. We are giving customers straightforward information so that they can make confident decisions. We believe that our local communities are our lifeblood. In addition to the employment opportunities we provide in each of our neighborhoods, we also provide contributions to charitable organizations that serve our families, friends, and customers. Plus tax, title, license and $180 dealer documentary service fee. Price contains all applicable dealer offers and non-limited factory offers. You may qualify for additional offers; see dealer for details. CE trim. U.S. News Best Minivan for the Money, Fourth Passenger Door, CD Player, iPod/MP3 Input, ConsumerReports.org's review says Our top-rated minivan.. 4 Star Driver Front Crash Rating. READ MORE! KEY FEATURES INCLUDE iPod/MP3 Input, CD Player, Fourth Passenger Door MP3 Player, Keyless Entry, Child Safety Locks, Electronic Stability Control. EXPERTS REPORT Car and Driver Editors Choice. The Sienna has an excellent reputation for overall quality and long-term dependability, which make it a hassle-free vehicle to drive day in and day out, while contributing to peace of mind on long road trips. -Edmunds.com. 4 Star Driver Front Crash Rating. 5 Star Driver Side Crash Rating. VISIT US TODAY Acura of Johnston features a wide selection of new Acura and used Acura cars, trucks and SUVs. We carry all of the latest and most popular Acura models, but Acura of Johnston also has Acura Certified Pre-Owned Vehicles that meet Acura's demanding standards for quality and pass a meticulous certification process. We will explain the features and benefits of each model so you can choose which is perfect for you. If you already have a model in mind feel free to stop by for a test drive! Plus tax, title, license and $180 dealer documentary service fee. See dealer for details. 330xi trim. REDUCED FROM $6,992! Sunroof, Heated Leather Seats, Premium Sound System, Alloy Wheels, All Wheel Drive, HEATED FRONT SEATS, 5-SPEED AUTOMATIC TRANSMISSION W/OD, PREMIUM PKG, XENON HEADLIGHTS. CLICK ME! KEY FEATURES INCLUDE All Wheel Drive, Premium Sound System, Aluminum Wheels Keyless Entry, Remote Trunk Release, Steering Wheel Controls, Electronic Stability Control, Heated Mirrors. OPTION PACKAGES PREMIUM PKG leather seat trim, 4-way pwr lumbar support, auto-dimming rearview mirror, interior Myrtle wood trim, interior sunshade, wind deflector, pwr tilt/slide glass moonroof w/1-touch operation, BMW Assist, 5-SPEED AUTOMATIC TRANSMISSION W/OD adaptive transmission control, tap-up/tap-down Steptronic shift control, XENON HEADLIGHTS auto-leveling feature, HEATED FRONT SEATS thermostat control & 3-stage heating. BMW 330xi with Alpine White exterior and Natural Brown Montana Leather interior features a Straight 6 Cylinder Engine with 225 HP at 5900 RPM*. EXPERTS REPORT 4 Star Driver Front Crash Rating. 5 Star Passenger Front Crash Rating. EXCELLENT VALUE Was $6,992. OUR OFFERINGS Lithia is one of America's largest automotive retailers. We are focused on providing customers with an honest and simpler buying and service experience. We are giving customers straightforward information so that they can make confident decisions. We believe that our local communities are our lifeblood. In addition to the employment opportunities we provide in each of our neighborhoods, we also provide contributions to charitable organizations that serve our families, friends, and customers. Plus tax, title, license and $180 dealer documentary service fee. Price contains all applicable dealer offers and non-limited factory offers. You may qualify for additional offers; see dealer for details. SR5 trim. Edmunds Consumers' Most Wanted Large Truck, SR5 EXTRA VALUE PKG, Aluminum Wheels, Fourth Passenger Door, ALL WEATHER GUARD PKG, PREMIUM 3-IN-1 COMBO RADIO, TRD SPORT PKG. 4 Star Driver Front Crash Rating. READ MORE! KEY FEATURES INCLUDE Fourth Passenger Door. Third Passenger Door, 4-Wheel ABS, Front Disc/Rear Drum Brakes. OPTION PACKAGES TRD SPORT PKG aluminum graphite finished wheels w/center caps, P265/65R17 tires, Tokiko shocks, sport suspension, limited slip differential, TRD Sport graphics, SR5 EXTRA VALUE PKG pwr windows/door locks, chrome pwr mirrors, dual sun visors w/vanity mirror & visor extenders, lighting pkg, sliding rear window, privacy glass, remote keyless entry, PREMIUM 3-IN-1 COMBO RADIO AM/FM radio w/compact disc/cassette, 6 speakers, pwr amplifier, ALL WEATHER GUARD PKG HD battery/heater/ starter, chrome heated pwr mirrors. Toyota SR5 with DESERT SAND MICA exterior and FC40 interior features a 8 Cylinder Engine with 240 HP at 4800 RPM*. EXPERTS REPORT Edmunds Consumers' Most Wanted Large Truck. Edmunds.com's review says Smaller than other full-size trucks, the Toyota Tundra is more maneuverable in crowded areas. The standard suspension is softly tuned. It makes the Tundra more comfortable for commuting than most peers.. VISIT US TODAY Lithia is one of America's largest automotive retailers. We are focused on providing customers with an honest and simpler buying and service experience. We are giving customers straightforward information so that they can make confident decisions. We believe that our local communities are our lifeblood. In addition to the employment opportunities we provide in each of our neighborhoods, we also provide contributions to charitable organizations that serve our families, friends, and customers. Plus tax, title, license and $180 dealer documentary service fee. Price contains all applicable dealer offers and non-limited factory offers. You may qualify for additional offers; see dealer for details. PRICE DROP FROM $8,820, PRICED TO MOVE $2,200 below NADA Retail! Ltd trim. Moonroof, 4x4, Dual Zone A/C, iPod/MP3 Input, JBL PREMIUM AM/FM STEREO W/6-DISC IN-..., PWR MOONROOF, Aluminum Wheels, Consumer Guide Recommended SUV CLICK NOW! KEY FEATURES INCLUDE 4x4, iPod/MP3 Input, Aluminum Wheels, Dual Zone A/C. Rear Spoiler, MP3 Player, Privacy Glass, Keyless Entry, Steering Wheel Controls. OPTION PACKAGES PWR MOONROOF, JBL PREMIUM AM/FM STEREO W/6-DISC IN-DASH CHANGER (9) speakers, Bluetooth wireless technology. Toyota Ltd with BLIZZARD PEARL exterior and TAUPE interior features a V6 Cylinder Engine with 269 HP at 6200 RPM*. EXPERTS RAVE Consumer Guide Recommended SUV. Edmunds.com explains In terms of the space, the RAV4 is cavernous, boasting more cargo room than some midsize SUVs.. 5 Star Driver Front Crash Rating. 5 Star Driver Side Crash Rating. A GREAT VALUE Reduced from $8,820. This RAV4 is priced $2,200 below NADA Retail. OUR OFFERINGS Acura of Johnston features a wide selection of new Acura and used Acura cars, trucks and SUVs. We carry all of the latest and most popular Acura models, but Acura of Johnston also has Acura Certified Pre-Owned Vehicles that meet Acura's demanding standards for quality and pass a meticulous certification process. We will explain the features and benefits of each model so you can choose which is perfect for you. If you already have a model in mind feel free to stop by for a test drive! Plus tax, title, license and $180 dealer documentary service fee. See dealer for details. FUEL EFFICIENT 32 MPG Hwy/24 MPG City! BLACK exterior and BLACK interior. Sunroof, iPod/MP3 Input, Alloy Wheels, 4-WHEEL ANTI-LOCK BRAKING SYSTEM, 6-DISC IN-DASH CD CHANGER, PWR SUNROOF. 5 Star Driver Front Crash Rating. READ MORE! KEY FEATURES INCLUDE iPod/MP3 Input, Aluminum Wheels. Rear Spoiler, Remote Trunk Release, Keyless Entry, Child Safety Locks, Heated Mirrors. OPTION PACKAGES PWR SUNROOF, 4-WHEEL ANTI-LOCK BRAKING SYSTEM, 6-DISC IN-DASH CD CHANGER. Kia SX with BLACK exterior and BLACK interior features a 4 Cylinder Engine with 138 HP at 6000 RPM*. EXPERTS CONCLUDE ConsumerReports.org's review says Its ride is the most comfortable in this group and its interior is one of the quietest in the class. 5 Star Driver Front Crash Rating. 4 Star Driver Side Crash Rating. Great Gas Mileage: 32 MPG Hwy. BUY FROM AN AWARD WINNING DEALER Lithia is one of America's largest automotive retailers. We are focused on providing customers with an honest and simpler buying and service experience. We are giving customers straightforward information so that they can make confident decisions. We believe that our local communities are our lifeblood. In addition to the employment opportunities we provide in each of our neighborhoods, we also provide contributions to charitable organizations that serve our families, friends, and customers. Plus tax, title, license and $180 dealer documentary service fee. Price contains all applicable dealer offers and non-limited factory offers. You may qualify for additional offers; see dealer for details. FUEL EFFICIENT 38 MPG Hwy/26 MPG City! Aluminum Wheels, ENGINE, ECOTEC TURBO 1.4L VARIABLE VALVE TIMING DOHC 4-CYLINDER SEQUENTIAL MFI, TURBO, iPod/MP3 Input, Turbo Charged Engine, ENGINE, ECOTEC TURBO 1.4L VARIABLE VA... AND MORE! THIS CRUZE IS FULLY EQUIPPED CRUISE CONTROL, AUDIO SYSTEM AM/FM stereo with CD player and MP3 playback capability, graphical display, TRANSMISSION, 6-SPEED AUTOMATIC, ELECTRONICALLY CONTROLLED WITH OVERDRIVE, ENGINE, ECOTEC TURBO 1.4L VARIABLE VALVE TIMING DOHC 4-CYLINDER SEQUENTIAL MFI, TURBO with water cooled bearings (138 hp [102.9 kW] @ 4900 rpm, 148 lb-ft of torque [199.8 N-m] @ 1850 rpm) KEY FEATURES ON THIS CHEVY CRUZE INCLUDE iPod/MP3 Input, Aluminum Wheels Keyless Entry, Child Safety Locks, Electronic Stability Control, Bucket Seats, 4-Wheel ABS. Chevrolet LT w/1FL with SUMMIT WHITE exterior and MEDIUM TITANIUM interior features a 4 Cylinder Engine with 138 HP at 4900 RPM*. CHEVY CRUZE: BEST IN CLASS Side by Side Advantages: More City and Highway Cruising Miles vs. Ford Focus, Hyundai Accent, Kia Forte, Honda Civic and Toyota Corolla. Better Combined Fuel Economy than Focus, Accent, Forte, Civic and Corolla. Great Gas Mileage: 38 MPG Hwy. OUR OFFERINGS Lithia is one of America's largest automotive retailers. We are focused on providing customers with an honest and simpler buying and service experience. We are giving customers straightforward information so that they can make confident decisions. We believe that our local communities are our lifeblood. In addition to the employment opportunities we provide in each of our neighborhoods, we also provide contributions to charitable organizations that serve our families, friends, and customers. Plus tax, title, license and $180 dealer documentary service fee. Price contains all applicable dealer offers and non-limited factory offers. You may qualify for additional offers; see dealer for details. CXL-3 trim. Heated Seats, Satellite Radio, Onboard Communications System, Dual Zone A/C, AUDIO SYSTEM, AM/FM STEREO WITH CD PL... SEATS, 6-PASSENGER, CXL PREFERRED EQUIPMENT GROUP, TRANSMISSION, 4-SPEED AUTOMATIC, ENHA... CLICK ME! KEY FEATURES INCLUDE Heated Driver Seat, Satellite Radio, Onboard Communications System, Dual Zone A/C, Heated Seats Remote Trunk Release, Keyless Entry, Child Safety Locks, Steering Wheel Controls, Heated Mirrors. OPTION PACKAGES SEATS, 6-PASSENGER, TRANSMISSION, 4-SPEED AUTOMATIC, ENHANCED ELECTRONIC (STD), AUDIO SYSTEM, AM/FM STEREO WITH CD PLAYER AND MP3 PLAYBACK seek-and-scan, digital clock, auto-tone control, Radio Data System (RDS), speed-compensated volume, Theftlock and auxiliary audio jack (enables plug/play connection of all auxiliary audio players) (STD), CXL PREFERRED EQUIPMENT GROUP Includes (PCI) Driver Confidence Package, (UFL) Lane Departure Warning, (UFT) Side Blind Zone Alert, (AP3) Remote vehicle starter system, (UA6) Theft-deterrent system, (UD7) Rear Parking Assist, (PA2) Wheels, 17 (43.2 cm) chrome-plated aluminum, (CE1) Wipers, front intermittent, Rainsense, (JL4) Stabilitrak, ENGINE, 3.9L V6 SFI FLEXFUEL capable of running on unleaded or up to 85% ethanol (227 hp [163.9 kW] @ 5700 rpm, 237 lb-ft of torque [321.1 N-m] @ 3200 rpm) (STD). Buick CXL-3 with GOLD MIST METALLIC exterior and COCOA/CASHMERE interior features a V6 Cylinder Engine with 227 HP at 5700 RPM*. EXPERTS ARE SAYING KBB.com explains If you're a current or former large Buick sedan lover, or have been away from roomy, comfy big American sedans for a while and would like a good reason to return, Lucerne is easily the best full-size Buick ever and one of the best full-size American cars of any brand.. 5 Star Driver Front Crash Rating. 4 Star Driver Side Crash Rating. OUR OFFERINGS Acura of Johnston features a wide selection of new Acura and used Acura cars Plus tax, title, license and $180 dealer documentary service fee. See dealer for details. Silver Metallic exterior and Stone interior. iPod/MP3 Input, CD Player, 4x4, PREMIUM CLOTH LOW-BACK BUCKET SEATS, Aluminum Wheels, newCarTestDrive.com explains Quite pleasant to drive.. 5 Star Driver Side Crash Rating. CLICK ME! THIS FORD ESCAPE COMES COMPLETELY EQUIPPED PREMIUM CLOTH LOW-BACK BUCKET SEATS (STD) FORD ESCAPE: UNMATCHED QUALITY 5 Star Driver Side Crash Rating. 5 Star Passenger Front Crash Rating. KEY FEATURES ON THIS FORD ESCAPE INCLUDE MP3 Player, Keyless Entry, Privacy Glass, Child Safety Locks, Rollover Protection System. Ford XLT with Silver Metallic exterior and Stone interior features a V6 Cylinder Engine with 200 HP at 6000 RPM*. FORD ESCAPE IS BEST IN CLASS The Escape's small dimensions make it easy to park and maneuver, while the large side-glass panels permit a nearly unobstructed view for both driver and passengers. -- Kelley Blue Book. VISIT US TODAY Lithia is one of America's largest automotive retailers. We are focused on providing customers with an honest and simpler buying and service experience. We are giving customers straightforward information so that they can make confident decisions. We believe that our local communities are our lifeblood. In addition to the employment opportunities we provide in each of our neighborhoods, we also provide contributions to charitable organizations that serve our families, friends, and customers. Plus tax, title, license and $180 dealer documentary service fee. Price contains all applicable dealer offers and non-limited factory offers. You may qualify for additional offers; see dealer for details.